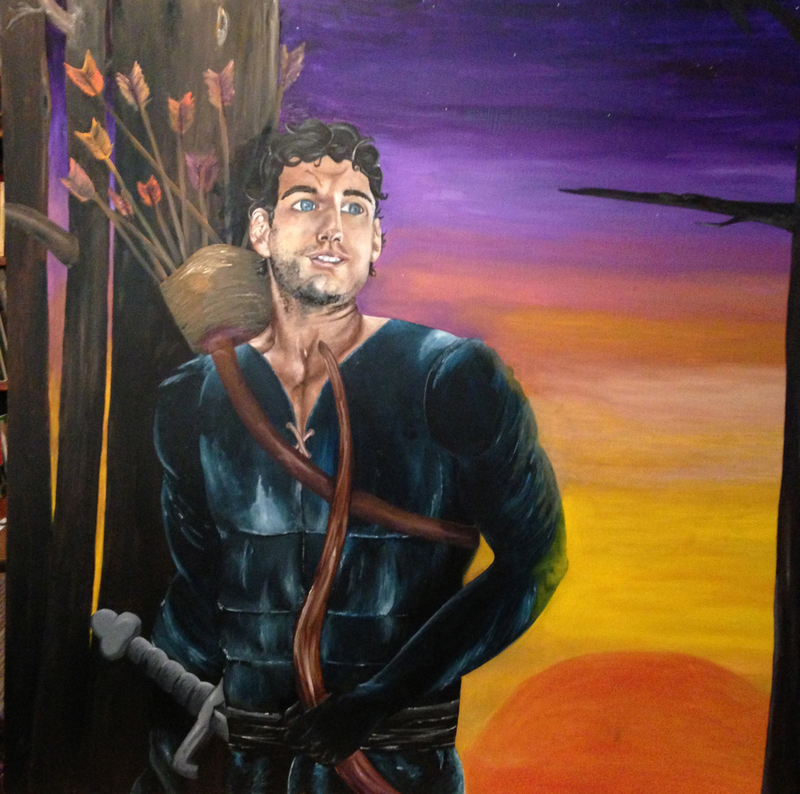 I wrote a novel called, The Keeper, and, over the summer, decided to paint the characters. Currently, I have finished only one, and the next is coming close to completion. "Liberation" is painted on a 4x7 plywood. His arms are outstretched in a gesture of liberation, a freedom from his haunting and dark ancestry. "Remmi" is painted on a 4x4 plywood. His character is mysterious, and a man of few words. He grows in magnitude after the first novel. 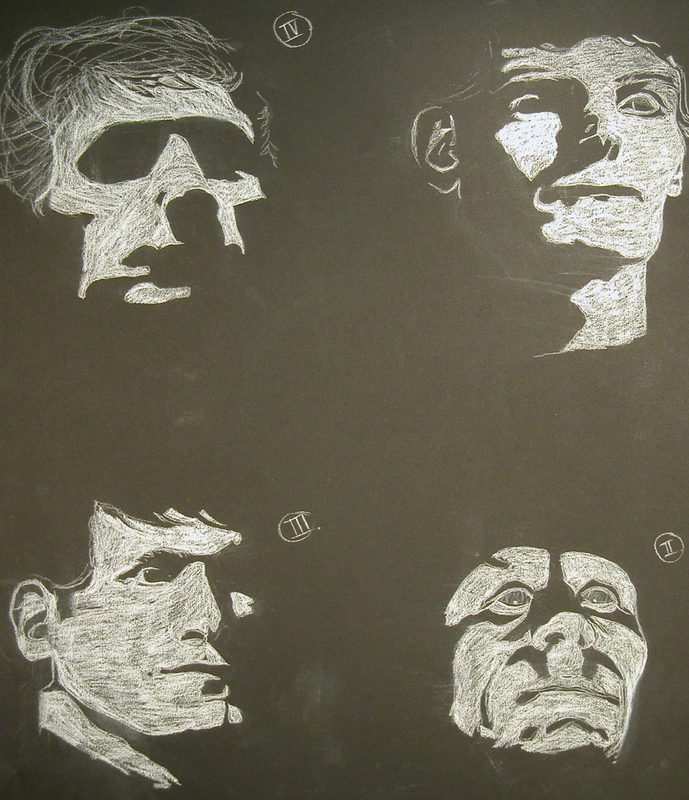 During undergraduate, I took several courses in drawing and a couple in painting. The drawing courses were a compilation of practice sketches, including perspective, overlapping, charcoal shadowing, and contour. The "Crucifixion" is a painting I completed in a Caravaggio Maymester class. It is a take on Zurbaran's "Crucifixion" in the Baroque style. The other 2 paintings were my very first still-life paintings. I took one printmaking class in undergraduate that allowed me to explore a fascinating area of art. 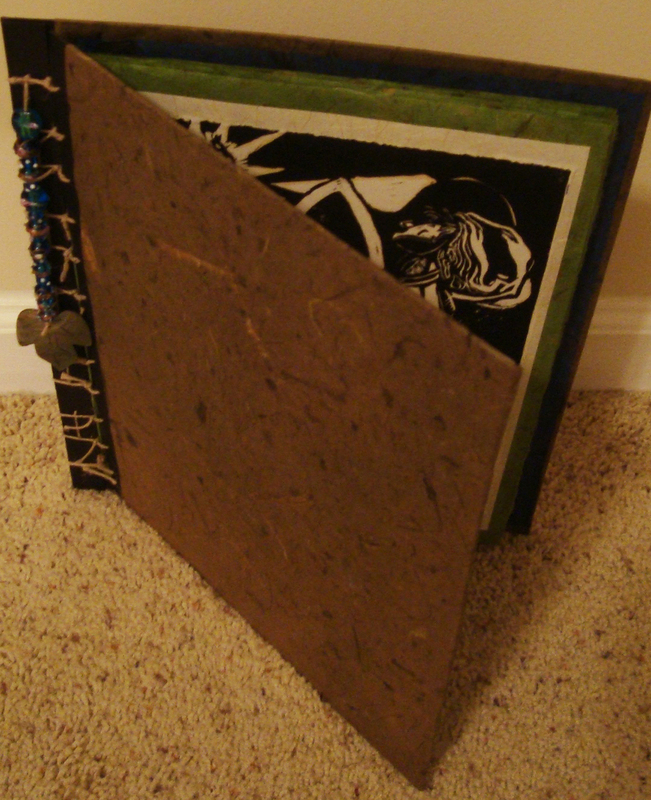 The piece I chose to display is a hemp-binded book. 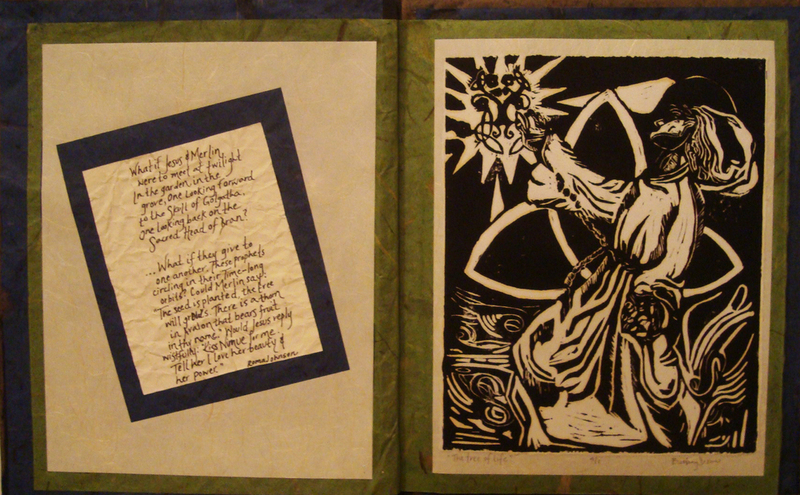 The prints included are a book print and a plate print. 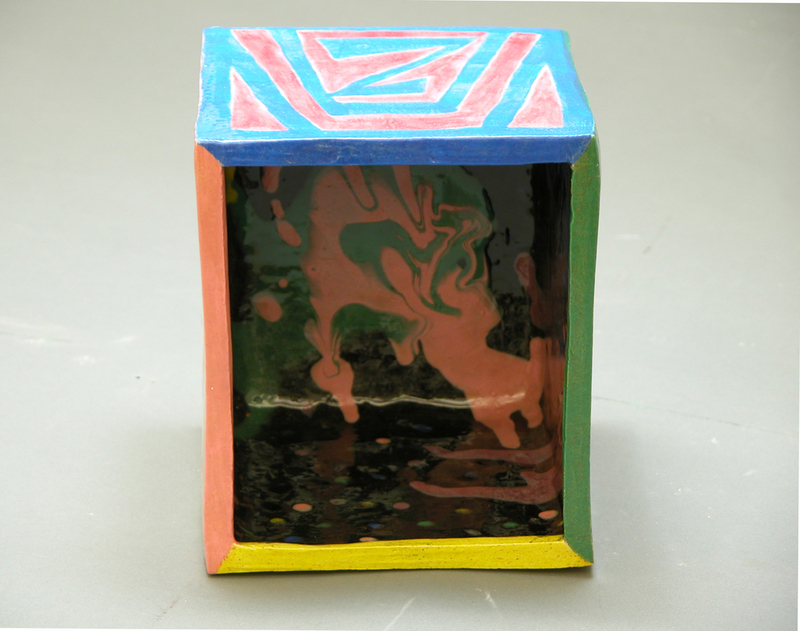 I dabbled in ceramics in undergraduate. I took both a 3D course and a Ceramics course. Being a graphic designer, I enjoyed the change of workspace. I had the opportunity to work with my hands and get dirty! In my 3D course, I made a terracotta coil pumpkin, a slab box, and a whistle. The decoration on the coil pumpkin is the face of Harry Potter. The slab box is decorated on all 4 sides with parts of my ancestry. 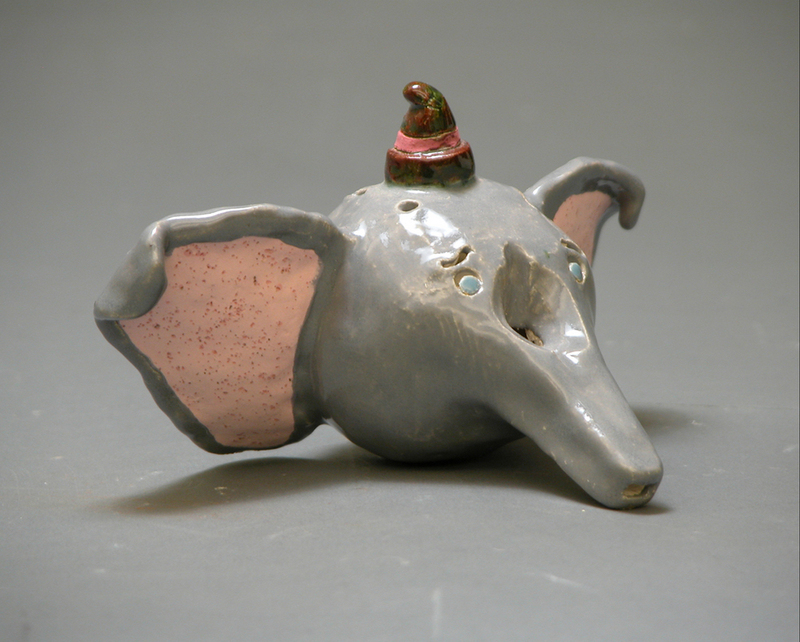 For the whistle, I chose to make DUMBO, and it does work. In Ceramics, I created 2 molded projects and 1 large coil vase. The large molded bowl is decorated in bright fiesta colors, and the small molded piece is shaped into a ladies straw hat. The large coil vase stands over a foot tall. During my student teaching, I created 2 projects for fun! Both were made for my son, a colorful train and a fly-eating frog.